When Should I Repair My Concrete? Deciding on when you need to make any repairs to your home can take a lot of time and be fraught with doubt and worry. You know that in order for your home to keep growing equity and to be valuable enough to sell (if you want to sell it at any point) that you need to keep it safe and looking great. One of the areas that will most quickly make a home unsafe or less than pleasing to look at is cracked and sinking concrete. 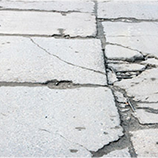 While broken concrete is very rarely the fault of the homeowner (unless you happen to be a jackhammer enthusiast) cracked driveways and sidewalks carry negative connotations that potential homebuyers, as well as inspectors and appraisers, don’t look very kindly upon. Luckily, there is an easy solution for your concrete woes. 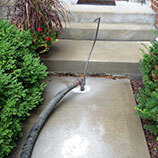 B & B Concrete Lifting in Chicago is able to lift your sinking slabs so that your house will look as good as it used to. Call us today if you need concrete repairs right away, or read on to find out when you should have your concrete lifted by B & B Concrete Lifting. 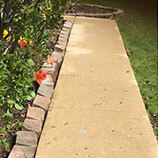 Concrete slabs can start to sink and crack because the material (soil, rock) underneath them starts to get washed away by precipitation or irrigation. Another cause of sinking is settling. Settling happens when a concrete slab was poured on top of material that either wasn’t properly compacted or that has shifted due to seismic or groundwater activity. This process is usually slow, so it is easy to overlook some of the warning signs. One of the best, and easiest, pieces of advice that we give out all the time is to just keep an eye on your concrete. Noticing sinkage and cracking when it has just started is one of the best ways there is prevent future damage. 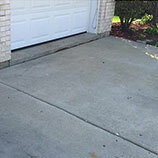 If you see cracks starting to develop or you notice that your driveway slab isn’t quite at the same level as your garage slab or that your stairs aren’t standing as evenly as they used to, write down when you first noticed it. Include some measurements and some photos. Smartphones make this process really easy. There are apps where you can combine pictures and text into a file that is date-stamped so you can easily track changes. If you notice that the sinking is getting worse, give us a call. We’re trained to recognize harmful concrete sinking and perform any needed repairs to make it look as good as possible. Our concrete lifting service will not only raise concrete slabs back up to optimum levels, it can also help prevent the same area from sinking in the future. If you let a sinking slab go for too long it can start to develop cracks that can potentially make it more difficult to lift and repair. So, if you have noticed some sinkage and a crack appears almost overnight, call us. Early concrete repair will always yield better results than trying to piece a shattered slab back together. Why Shouldn’t I Just Replace Damaged Concrete? While you can certainly have your concrete slabs re-poured, there’s almost always no reason to do so. Unless your slabs have started disintegrating or are covered with dozens of deep cracks, concrete repair can give you back all of the safety (and most of the aesthetic) advantages as new concrete at a small fraction of the price. 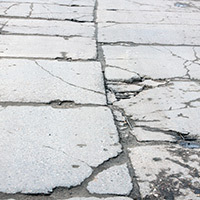 Not only is concrete repair far less expensive that replacement, it is a much quicker undertaking. Most concrete lifting can be completed in a matter of hours instead of days. Our concrete lifting process is also much less invasive than pouring a new slab which means that your yard won’t be trampled when new concrete is being poured. Perhaps most importantly, concrete lifting is the best way to fight against future sinkage. Our methods fill in the spaces that have been washed away and also help to more thoroughly compact other areas. 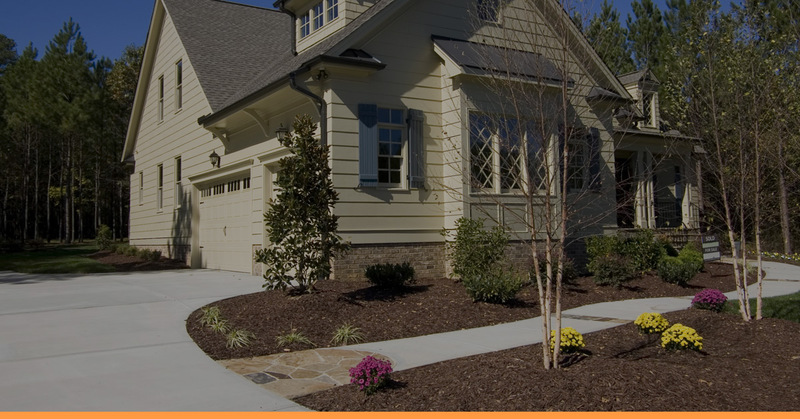 Call us at B & B Concrete Lifting today to find out how we can help your Chicago-area home look as good as it can with repaired concrete!